Home / Technical Articles / Why does electric motor fail and what can you do about it? As you already know, electric motor is used everywhere in industry and in term of technology – it’s already pretty complex, sometimes making it a challenge to keep it running at peak performance. 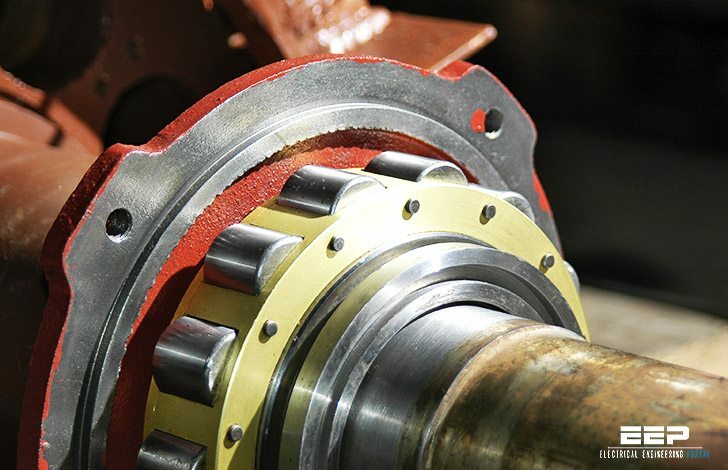 It’s VERY important to remember that the causes of motor and drive issues are not confined to a single domain of expertise – both mechanical and electrical issues can lead to motor failure – and being armed with the right knowledge can mean the difference between costly downtime and improved asset uptime. When electric motor fails – you can do few things, but before motor fails – you can do many many things to suppress eventual failure or heavy damage. Winding insulation breakdown and bearing wear are the two most common causes of motor failure, but those conditions arise for many different reasons. This technical article is written by Fluke engineers and it demonstrates how to detect the most common causes of winding insulation and bearing failure in advance. They also suggested devices you can use for testing. At the end of the article as a conclusion, I’ll mention four strategies for success in managing your electric motors. Transient voltages can come from a number of sources either inside or outside of the plant. Adjacent loads turning on or off, power factor correction capacitor banks or even distant weather can generate transient voltages on distribution systems. These transients, which vary in amplitude and frequency, can erode or cause insulation breakdown in motor windings. Finding the source of these transients can be difficult because of the infrequency of the occurrences and the fact that the symptoms can present themselves in different ways. For example, a transient may appear on control cables that don’t necessarily cause equipment damage directly, but may disrupt operations. Transient voltages can come from a number of sources either inside or outside of the plant. Three-phase distribution systems often serve single-phase loads. An imbalance in impedance or load distribution can contribute to imbalance across all three of the phases. This imbalance can lead to stresses in each of the phase circuits in a three-phase power system. At the simplest level, all three phases of voltage should always have the same magnitude. Simply stated, harmonics are any unwanted additional source of high frequency AC voltages or currents supplying energy to the motor windings. 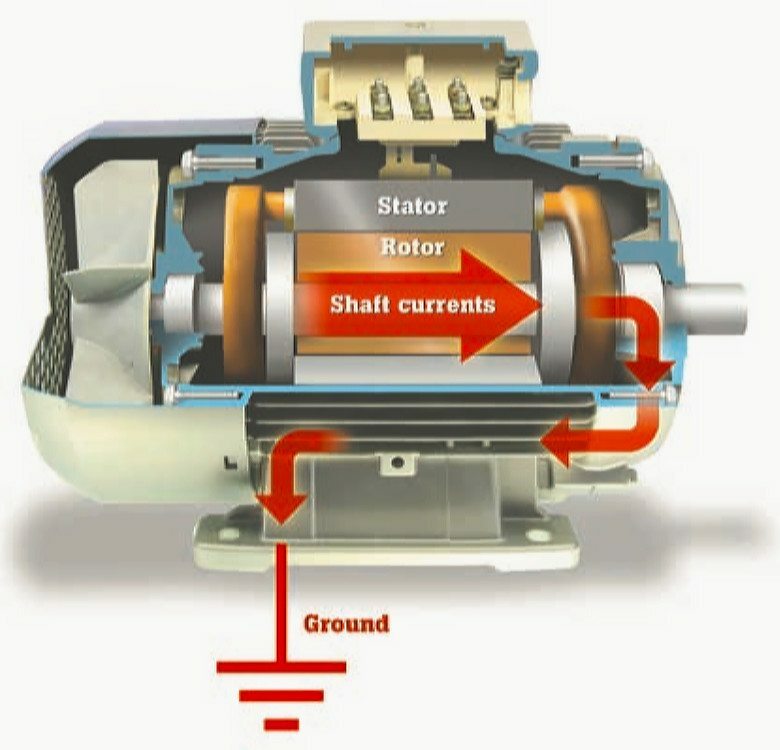 This additional energy is not used to turn the motor shaft but circulates in the windings and ultimately contributes to internal energy losses. These losses dissipate in the form of heat, which, over time, will deteriorate the insulation capability of the windings. Some harmonic distortion of the current is normal on any part of the system serving electronic loads. To start investigating harmonic distortion, use a power quality analyzer to monitor electrical current levels and temperatures at transformers to be sure that they are not overstressed. 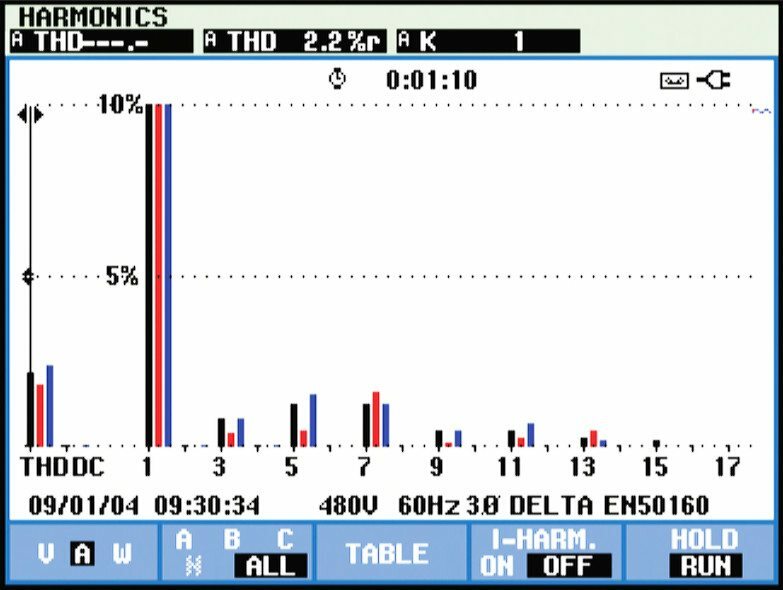 Each harmonic has a different acceptable level of distortion, which is defined by standards such as IEEE 519-2014. Variable frequency drives employ a pulse width modulation (PWM) technique to control the output voltage and frequency to a motor. Reflections are generated when there is an impedance mismatch between the source and load. Impedance mismatches can occur as a result of improper installation, improper component selection or equipment degradation over time. In a motor drive circuit, the peak of the reflection could be as high as the DC bus voltage level. 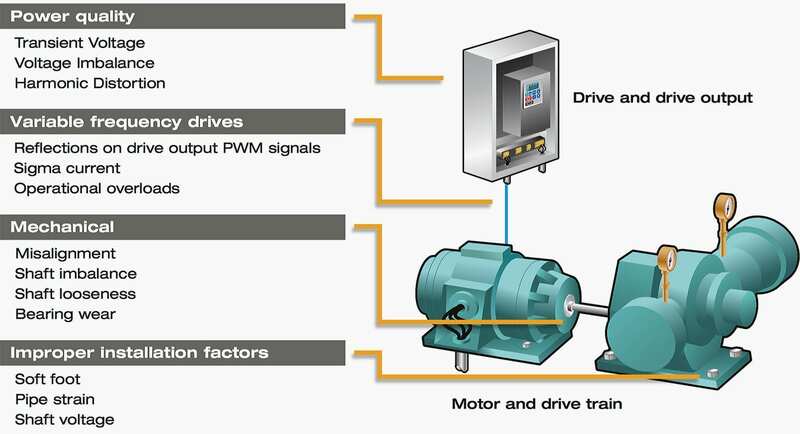 Variable frequency drives employ a pulse width modulation (PWM) technique to control the output voltage and frequency to a motor. Sigma currents are essentially stray currents that circulate in a system. 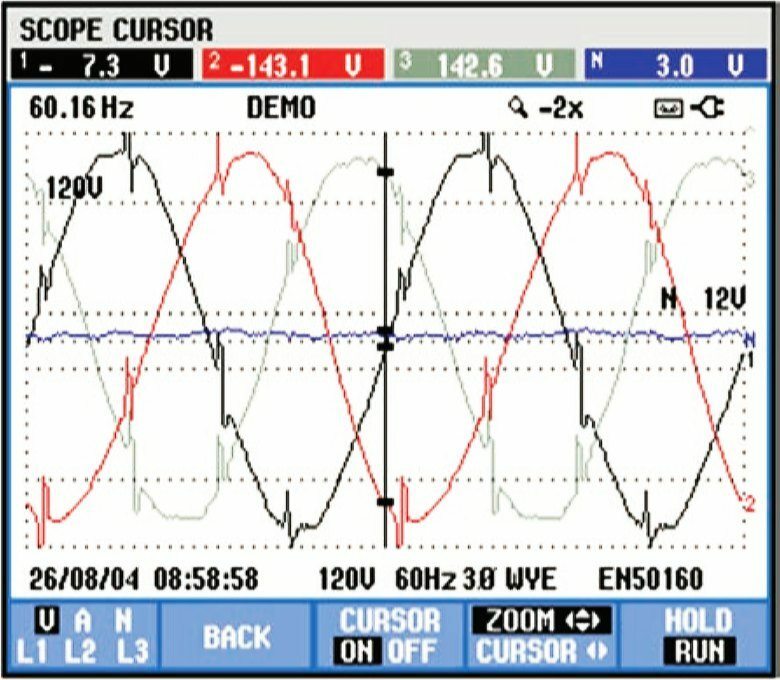 The sigma currents are created as a result of the signal frequency, voltage level, capacitance and inductance in conductors. These circulating currents can find their way through protective earth systems causing nuisance tripping or in some cases excess heat in windings. Sigma current can be found in the motor cabling and is the sum of the current of the three phases at any one point in time. In a perfect situation, the sum of the three currents would equal zero. In other words, the return current from the drive would be equal to the current to the drive. 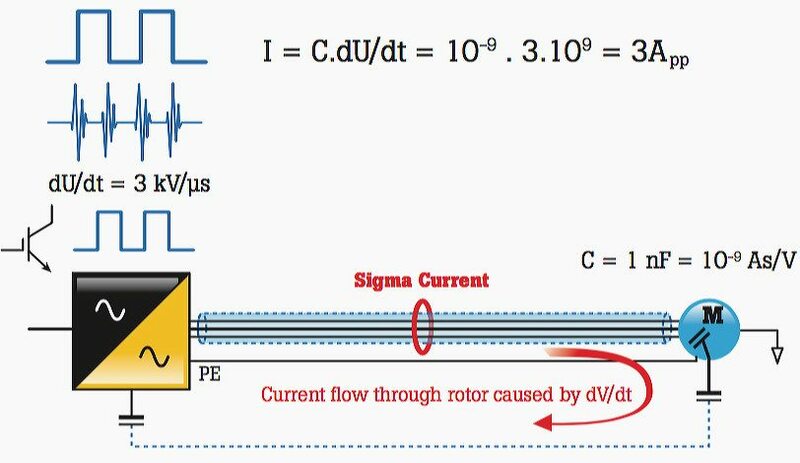 Sigma current can also be understood as asymmetrical signals in multiple conductors that can capacitively couple currents into the ground conductor. Motor overload occurs when a motor is under excessive load. The primary symptoms that accompany a motor overload are excessive current draw, insufficient torque and overheating. Excessive motor heat is a major cause of motor failure. In the case of an overloaded motor individual motor components including bearings, motor windings, and other components may be working fine, but the motor will continue to run hot. For this reason, it makes sense to begin your troubleshooting by checking for motor overload. Because 30% of motor failures are caused by overloading, it is important to understand how to measure for and identify motor overloading. 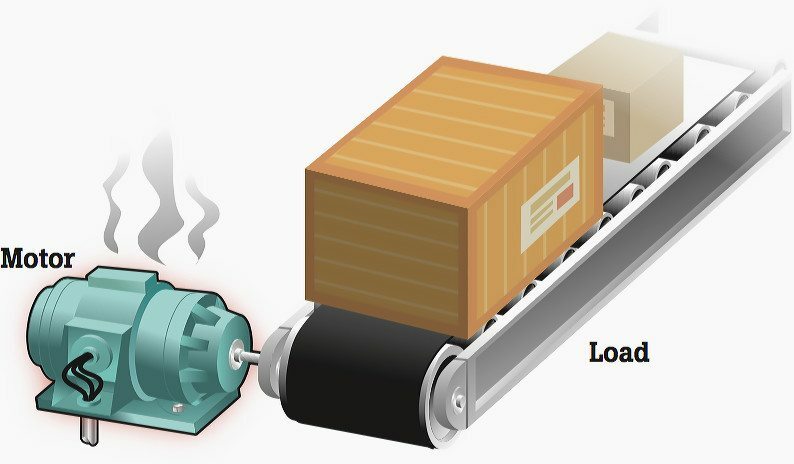 Misalignment occurs when the motor drive shaft is not in correct alignment with the load, or the component that couples the motor to the load is misaligned. 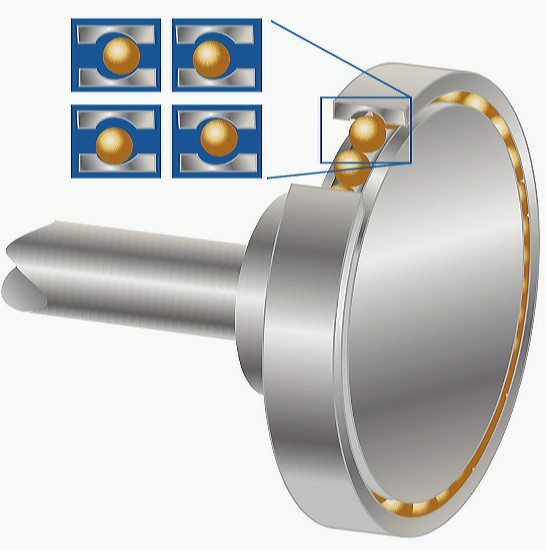 Many professionals believe that a flexible coupling eliminates and compensates for misalignment, but a flexible coupling only protects the coupling from misalignment. Even with a flexible coupling, a misaligned shaft will transmit damaging cyclical forces along the shaft and into the motor, leading to excess wear on the motor and increasing the apparent mechanical load. 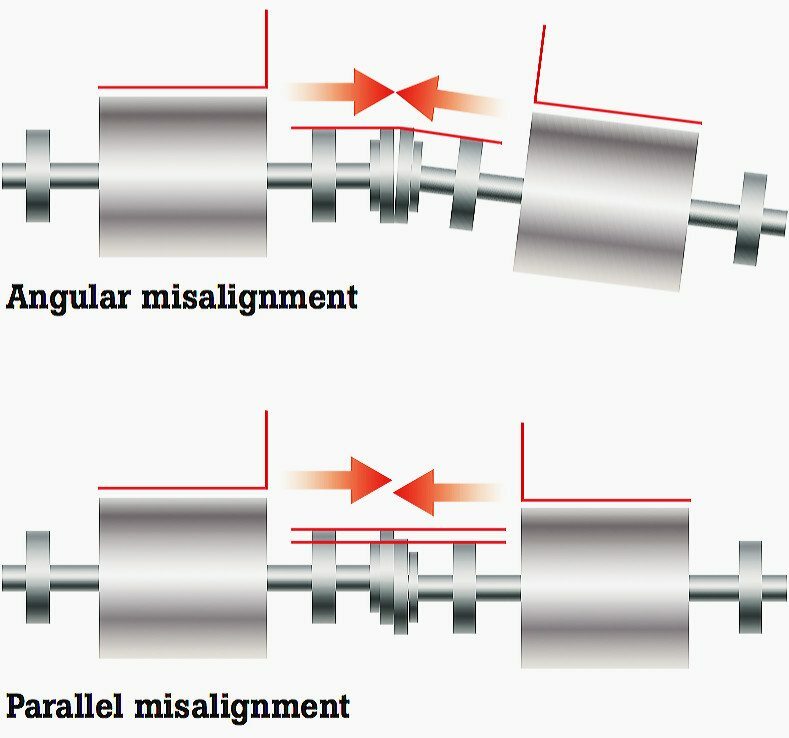 Compound misalignment – A combination of parallel and angular misalignment. Note // Almost all misalignment is compound misalignment, but practitioners talk about misalignment as the two separate types because it is easier to correct a misalignment by addressing the angular and parallel components separately. Imbalance is a condition of a rotating part where the center of mass does not lie on the axis of rotation. In other words, there is a “heavy spot” somewhere on the rotor. Although you can never completely eliminate motor imbalance, you can identify when it is out of normal range, and take action to rectify the problem. As with all other sources of vibration, it is important to know how to identify looseness and resolve the issue to avoid losing money. A vibration tester or analyzer can determine whether or not a rotating machine is suffering from looseness. A failed bearing has increased drag, emits more heat, and has lower efficiency because of a mechanical, lubrication, or wear problem. 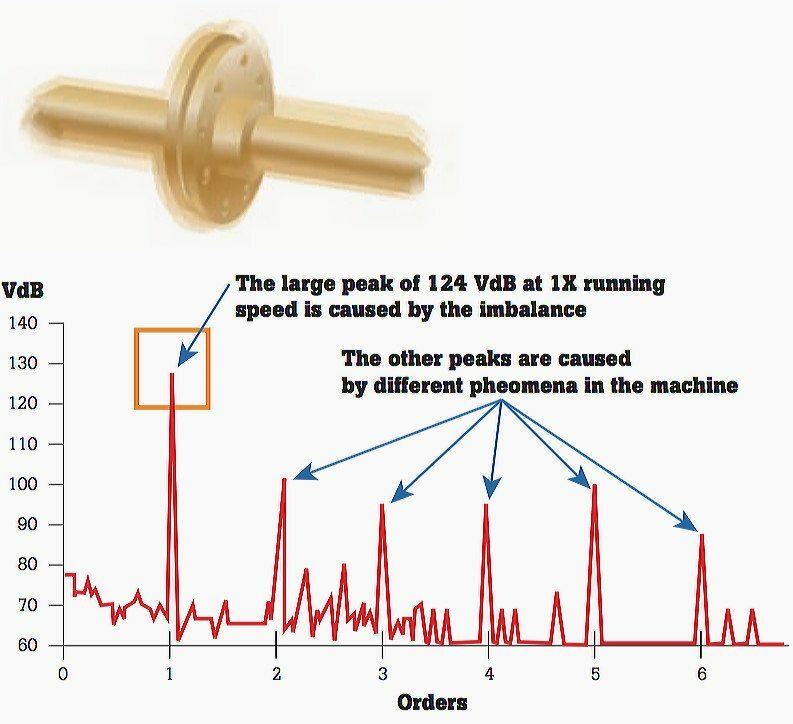 Once bearing failure begins, it also creates a cascade effect that accelerates motor failure! 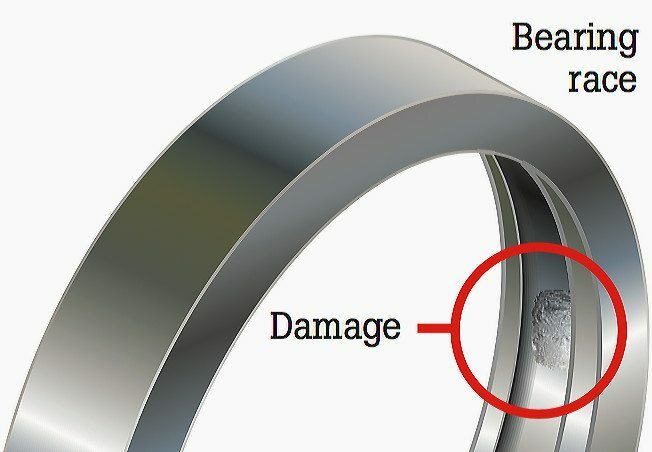 13 % of motor failures are caused by bearing failure, and more than 60 % of the mechanical failures in a facility are caused by bearing wear, so learning how to troubleshoot this potential problem is important. 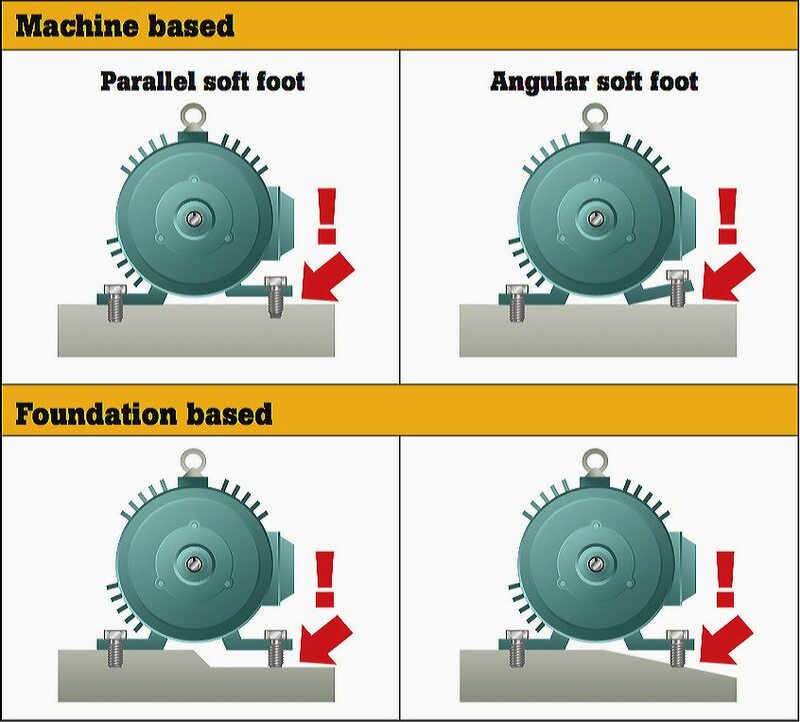 Soft foot refers to a condition in which the mounting feet of a motor or driven component are not even, or the mounting surface upon which the mounting feet sit is not even. This condition can create a frustrating situation in which tightening the mounting bolts on the feet actually introduces new strains and misalignment. Soft foot is often manifested between two diagonally positioned mounting bolts, similar to the way that an uneven chair or table tends to rock in a diagonal direction. Angular soft foot – Angular soft foot occurs when one of the mounting feet is not parallel or “normal” to the mounting surface. Pipe strain refers to the condition in which new stresses, strains, and forces, acting on the rest of the equipment and infrastructure transfer backward onto the motor and drive to induce a misalignment condition. 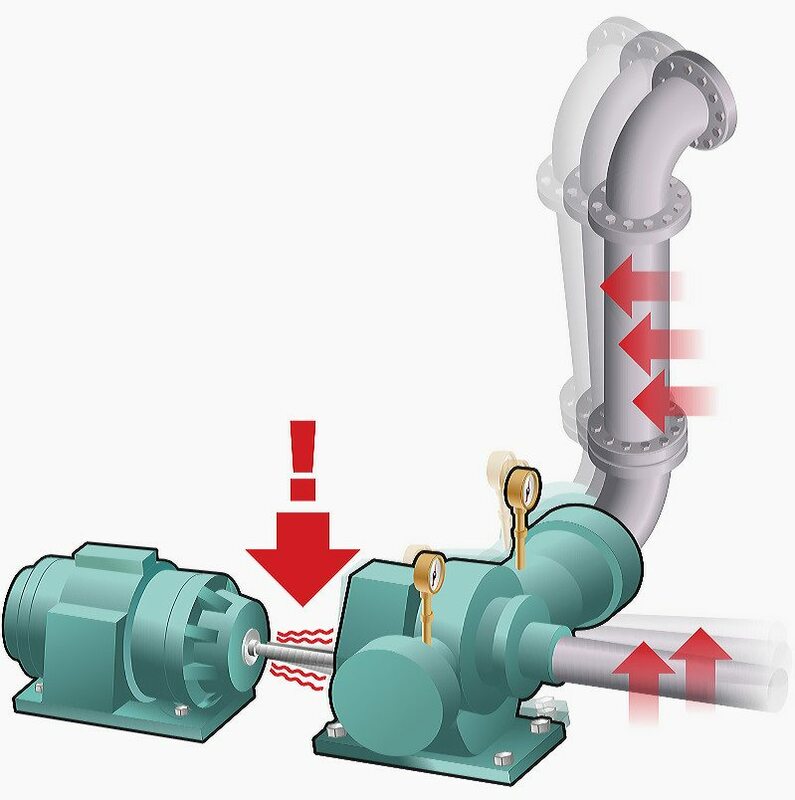 Those forces can put an angular or offset force on the pump, which in turn causes the motor / pump shaft to be misaligned. For this reason it is important to check machine alignment more than just at the time of installation–precision alignment is a temporary condition that can change over time. Impact: Shaft misalignment and subsequent stresses on rotating components, leading the premature failures. When motor shaft voltages exceed the insulating capability of the bearing grease, flashover currents to the outer bearing will occur, thereby causing pitting and grooving to the bearing races. The first signs of this problem will be noise and overheating as the bearings begin to lose their original shape and metal fragments mix with the grease and increase bearing friction. Shaft voltage is only present while the motor is energized and rotating. A carbon brush probe attachment allows you to measure shaft voltage while a motor is rotating. 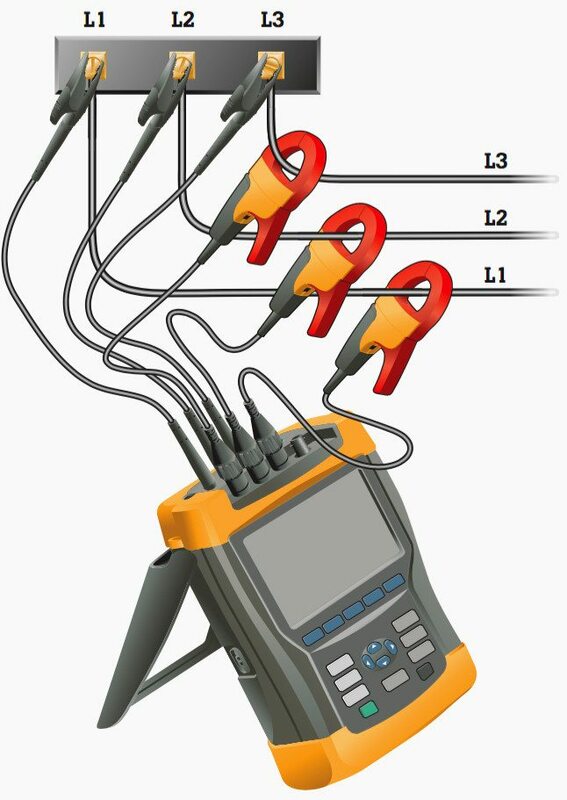 Instrument to measure and diagnose: Fluke-190-204 ScopeMeter isolated 4-channel portable oscilloscope, with AEGIS shaft voltage carbon brush probe. Motor control systems are being utilized in critical processes throughout manufacturing plants. Equipment failure can result in high monetary losses both from potential motor, or parts, replacement and from equipment downtime for the system the motor powers. Arming maintenance engineers and technicians with the right knowledge, prioritizing workload and managing preventative maintenance to monitor equipment and troubleshoot intermittent, elusive problems can, in some cases, avoid failures due to normal system operating stresses and reduce overall downtime costs. Plot individual measurements to establish a baseline trend. Any change in trend line of more than ±10% to 20% (or any other % determined, based on your system performance or criticality) should be investigated to root cause to understand why the issue is occurring. How much normally is the acceptable temperature of a 37-KW 3-phase Squirrel Cage AC Induction Motor particularly used in driving two hydraulic pumps (front & rear) for Baling Machine of Sugar Cane? Connections: Any time a connection is made a connection can fail. Crimps will loosen over time and cause a high resistance. This can happen over a short or long time. In the end the connection can open circuit. If it’s in close proximity to another phase of the motor both connections could go bad or even short. Screw terminals will loosen and overheat also. Any transition from one wire to another requires a connection. Sometimes those transitions involve aluminum to copper wires. These are inherently unstable interfaces. Steps are taken to prevent oxygen getting to the connection. Sometimes the transition is welded. Any connection involving dissimilar metals will be even more susceptible to failure. Any heating near plastic insulators will break down this insulation. Leakage current will increase to the housing if that housing is grounded. It should be grounded to reduce the probability of electric shock to operators or service personnel. This is regardless of size. Even fractional horsepower motors driven by line potential can have dangerous leakage current to the chassis. Given high tech motor controls these currents can be high frequency. GFCI’s are designed to be accurate at 60 hz. Other frequencies can falsely trigger GFCI’s. Putting a new one in may not fix it if it’s of the same make. Different manufacturers devices perform differently.